Yard signs whether they are metal with metal frames or fluted plastic with wire stakes, Premier Media Group has a selection for each application. 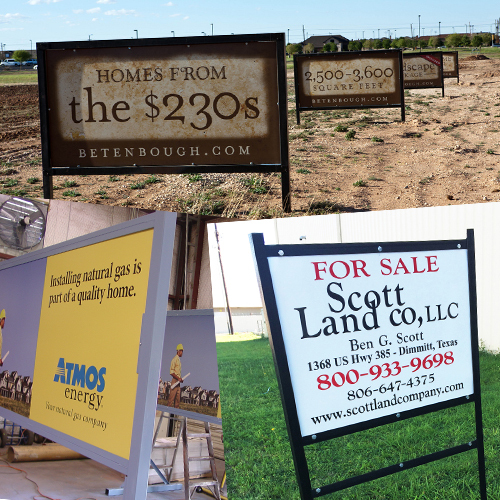 Aluminum faced signs with metal frames are commonly used for the real estate or construction company. These signs are used for long term applications such as construction site advertising or real estate for sale signs while the property is in the process of being sold. 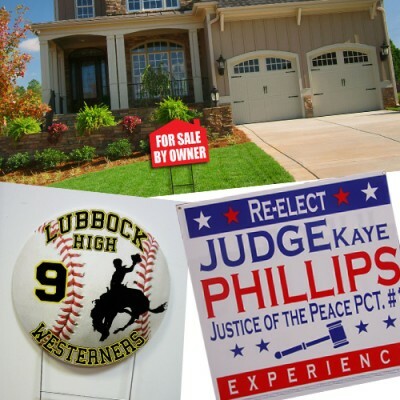 Plastic fluted yard signs are commonly use for political yard signs, real estate yard signs, school athletic mascot signs, or short term directional signs. Yard signs can be mounted with a wire H stake or various plastic and metal sign frames. Premier Media Group can print 1 to 5,000 pieces, whether the sign is one color or full color process.